Henriette Mertz (1898-1985) During World War II she worked as a code- breaker in the U.S. government’s cryptography department, while later she became an American patent lawyer in Chicago. Her interest in archaeology led her to be the first to propose that Odysseus, after wandering about the Atlantic, was the earliest European to set foot in America: an idea now taken up by others including Enrico Mattievich. 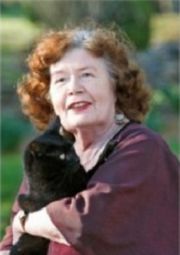 Her book The Mystic Symbol argues that some early Christians fled to America to escape persecution in the Roman Empire. Wayne N. May, the Mormon publisher of Ancient American, has also published a paper on the Mystic Symbol(b). Her reputation as a serial heretic also forced her to privately publish a volume on Atlantis following rejection by twenty publishers. She gave a lecture on her views in London in 1964 and enjoyed extensive coverage in the Greek press including the serialisation of her book. Her contention is that Atlantis was located in the southeast of the United States. She begins with the legend of the Seven Cities of Antillia and its depiction on the 1436 map of Andrea Bianco. A comparison of this map with a modern map of Florida convinced her that they referred to the same region. She discusses many aspects of Plato’s story and their compatibility with the archaeology, geography and legends of her chosen location. She also offers a map of Atlantis that encompasses the land bound by the Mississippi, Ohio and Potomac rivers as well as the Atlantic giving us the ‘island’ of Atlantis. To support this possibility she ingeniously suggests that Plato used the word ‘sea’ in the sense of being navigable and so was also applicable to rivers. 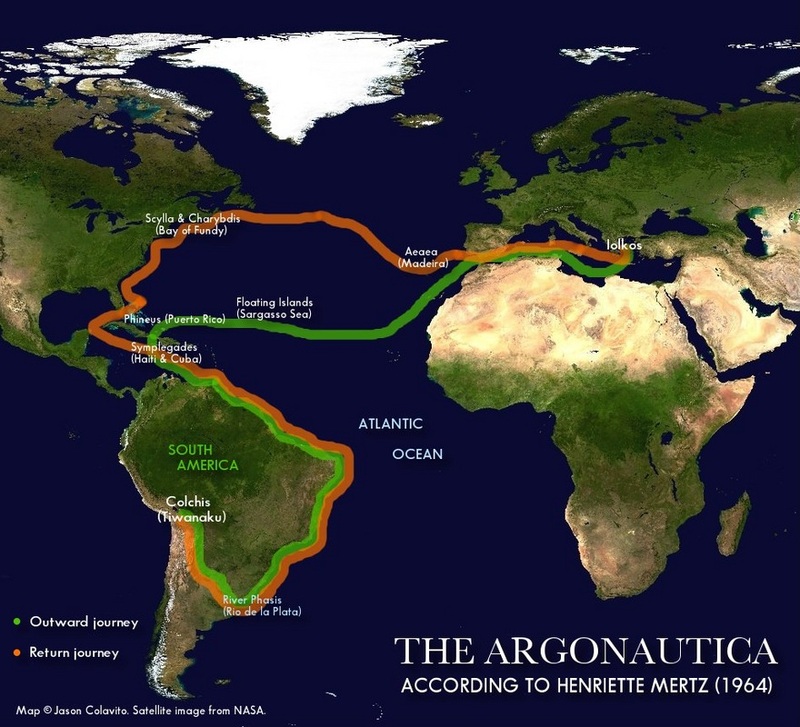 Mertz’s book, Wine Dark Sea, which claims that Homer’s Odyssey describes a very ancient trip to America, inspired the Austrian ethnologist, Christine Pellech, to expand on her work with a number of books on diffusionism together with a website on the subject. Unfortunately, Pellech’s books are only available in German but she has also established an English language magazine and website(a).